It's actually quite easy to piss off a flight attendant. There's plenty of potential for conflict in the skies. But one generous Alaska Airlines employee proved the haters wrong last week when she paid for a stranded passenger to fly home -- with her own money, and for a passenger from another airline! Miriam Thomas was left waiting in Ontario, CA, for a connecting flight to Seattle on her way to Vancouver. When she arrived at the airport, Thomas was told she'd be assigned a seat at the gate as the plane was already boarding. But at the gate, the agent informed Thomas her ticket had been cancelled, and that she'd have to wait until the following day for the next flight. According to Yahoo, Delta spent the value of Thomas’ ticket on a hotel voucher and the rescheduled flight to Seattle, but there weren’t any funds left for her to fly back to Vancouver. Accordingly, Thomas tweeted her air rage. Soon after, a good samaritan/Alaska Airlines employee named Judy took it upon herself to pay for a flight voucher to get Thomas home. A Delta spokesman said the company is looking into Thomas' flight cancelation and is fully reimbursing her for her troubles. 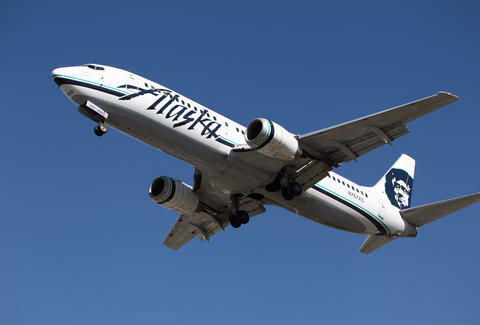 Though it's unclear if and when that's actually happening, one thing's for sure: Alaska Airlines just picked up a passenger for life. And Judy should probably get a raise.